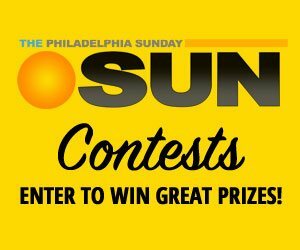 Philadelphia native Mya Kay grew up with a passion for writing. 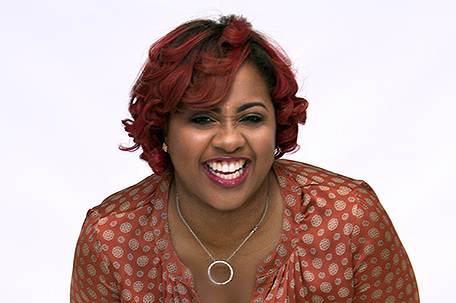 That passion led her to attend Temple University where she received a Bachelor of Arts degree in Magazine Journalism. She then went on to attain her Master’s degree in English from Arcadia University. Recently, Kay made history as the first person to release three books on the same day nationwide. 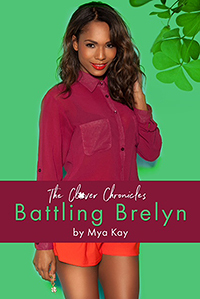 The three books released in April of this year: The “Clover Chronicles: Battling Brelyn”, “Before Empire”, and “S.E.A.L.” are three of Kay’s 11-book body of work. The Amazon best selling author was eager to share the story of her incredible journey thus far. The road Kay took to becoming a successful author was one paved with a plethora of challenges. The first of those challenges was figuring out how to begin. “At Temple, I was majoring in Pre-Med and Journalism,” she said. I was trying to have a safe career and the career I really wanted. I realize that I needed to pursue my passion, so I dropped the other major. I think it really hit me around 20 that I needed to not worry about being a starving artist or if I could make money off of writing, and just follow through with my first passion.” After graduating without a job in her field, Kay began working as a security officer. She worked the 11PM-7AM shift overnight, while pursuing her writing during the day. The first book Kay penned was “A Song for Jordan”. This young adult novel tells the story of a biracial teen who hopes to connect with her father whom she’s never met, through their mutual love for music. After penning, self-publishing a number of novels on her own, and working with an independent publisher, Kay eventually caught the eye of her current publisher, The TMG firm in New York. “It took me a long time to get to this point where I’m with a New York publisher,” she said. I received 100 rejections, and I heard that was good! Stephen King and J.K. Rawling talked about thousands!” Kay continued, “I got to LA on March 15, 2016, 10 days later I get this email from my now New York publisher. He had been following me for three years. All I kept thinking was, ‘What if I had given up when I was getting the rejections? This person was watching and I didn’t even know it! So I tell people it’s always good to keep putting out work because you never know,” she said. A few months after TMG made initial contact, Kay was offered a three book deal, and the rest is history. At the time of the email, Kay only had 17,000 words completed in what later became The Clover Chronicles: Battling Brelyn. “ The Clover Chronicles: Battling Brelyn” tells the story of a teenage girl battling lupus while trying to navigate entrepreneurship and teenage life. The concept behind The Clover Chronicles was birthed in 2013, and although it took years to complete, to date it’s Kay proudest work. After facing a number of odds — releasing 11 books, successfully entering the publishing world, and making history with three simultaneous book releases — what is on the horizon for Mya Kay? According to Kay, television and film are her next venture. “It’s time to bring back the content we (80’s babies) grew up on… so that one day when I have children, I can watch tv with them without covering their eyes and ears.” With Kay’s determination we are sure to see her work on the small and big screen. In the interim, Kay still has two books to finish in the Clover Chronicle Series, which her fans are eagerly anticipating. Anyone willing to travel outside of the Tristate area can meet Kay at her next book signing on Saturday June 17th from 4-7pm, at the Cherry Hill Barnes & Noble in Fairfax, Virginia at the Fair Lakes Promenade. If you can’t attend the book signing, you can support Kay by purchasing her books and leaving her a review. All of her books are available for purchase directly from her website www.writermya.com, or through Amazon, Barnes & Noble and IndieBound. Keep up with all things Mya Kay by following her via social media @writermya. Let’s continue to support our own!